You’ll notice, however, that your LinkedIn feed doesn’t show everything your network is posting by default. That’s because it’s only showing content it believes is relevant to you. Note: users can switch the posts they want to see based on “recent” activity (but this has to be done manually). So, how can you, as a social media marketer, ensure your content appears in as many feeds as possible? Note: there are other LinkedIn algorithms that may affect things like search, or spam messages in your inbox. But those are not what we’re talking about here. We are specifically focusing on the algorithm that organizes the homepage feed. Keep in mind these stages are not completely sequential or divided. Multiple factors affect how far a post spreads throughout the network, and these algorithmic decisions happen over time, sometimes moving the post backwards and forwards in the process. You want to be in the “clear” category. But if for some reason your content gets placed the “low-quality” category, you may still have hope, and could still move on to the next stages. At this stage, indicators of initial engagement from your audience (such as likes, comments and shares) will signal that your content is good enough to pass to stage 3 of the algorithm’s spam filter. However, if users flag your post as spam, or hide it from their feeds because they don’t want to see it, LinkedIn’s algorithm will draw more negative conclusions. Is my post annoying or offensive? Would people in my network care about this post? Is my post so unique and insightful, people would want to share with others? Is my post relevant to others’ professional lives? When determining your answers to the above, you may want to re-think your post, or tone it down a bit. We’ll give more tips on hacking the LinkedIn algorithm below. After users engage with your content to signal its quality score, the algorithm looks for clues as to the quality of the poster and the poster’s network to determine if the content is spam or not. This is because a spammer could technically have posted garbage and gotten hundreds of other spam accounts to like and comment on the post within an hour, still successfully making it to stage 3. Besides checking your credibility, the algorithm may also be determining the relevance and usefulness of the post to the network (i.e., the connections and followers receiving the post in their feeds) at stage 3. As such, this stage is also when the algorithm decides whether to “demote” your content, sending it backwards in the queue for another chance at winning credibility. If your post looks “suspicious,” but the algorithm doesn’t want to make a definitive call on it (giving you the benefit of the doubt), it will remain in the feed but not show very highly or very frequently. At this point, it’s up to your audience to give your content the engagement metrics mentioned in stage 2. If it gets more engagement, it moves back to stage 3. PRO TIP: This is why posting at the right time, plus optimizing your headlines and images for click-through-rate (CTR) are important. See below for more on this. Part of the LinkedIn algorithm’s uniqueness is that it uses real humans to filter through user-generated content, and to learn more about what makes a post noteworthy (or not). This is the stage where those humans determine whether your post is valuable enough to continue displaying in the LinkedIn feed. If your post continues to get engagement, the cycle continues, and it keeps getting shown. There’s a lot of speculation that, at this stage, if your content is amazing, it may get a boost and reach more people. It might even show up on a LinkedIn Channel (see below for more on this). Take a look at the sample post below. At the time of the screenshot, it was two weeks old. But, it had plenty of likes and comments (i.e., LinkedIn engagement signals). It was also liked by someone in my own network, and was relevant to content in my personal profile (such as marketing). You can’t see it in the screenshot below, but this post was ranked above another that was up for less than a day! Note: Pulse is now integrated into your homepage feed. But Pulse articles from the LinkedIn Publisher tool work a little differently when being shown to your audience, or on Pulse Channels. Now the fun part: learning how to make the algorithm work in your favor (a.k.a. getting your posts seen by as many people as possible). LinkedIn sources are fairly clear on what they want the focus of their platform to be: the professional world. 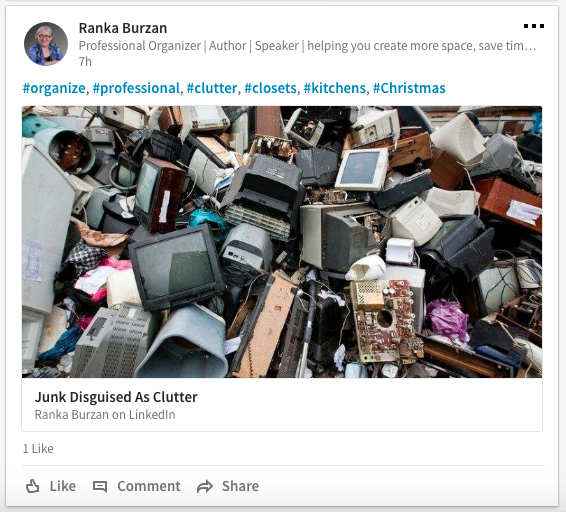 Instead of animated GIFs, Ellen videos and “texts-from-my-mom” screenshots, the LinkedIn algorithm aims to show users news, job posts and timely, popular content related to your career (or those of peers you’re connected to). This kind of content can be images, videos, LinkedIn article posts, external webpage links or text updates. For examples, take a look at the types of content LinkedIn promises to deliver in its Pulse app. Also, remember that part of the LinkedIn algorithm is designed to find a factor of relevance to the audience a post is being shared with. How does LinkedIn determine relevance? By looking at people’s profiles. And user profiles are all about their careers and businesses. Take a look below at some of the posts that LinkedIn thought I’d be interested to see on my homepage feed. A blog post written on LinkedIn by one of my connections. It only had 1 like in 7 hours, but notice the hashtag usage. Can you guess what stage in the algorithm this post was likely in, at the time of the screenshot? Hint: it’s possible it was stage 1 or 2! An article by a LinkedIn Influencer that someone in my network had commented on. 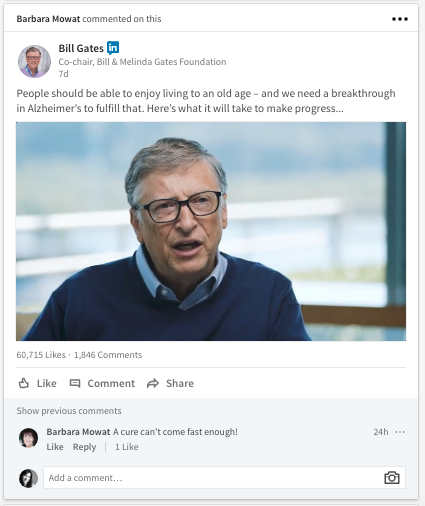 It had 60,715 likes and 1,846 comments in seven days (LinkedIn influencers pre-pass stage four in the LinkedIn algorithm, but other posts that get this far would surely have passed the human editor check). We know that relevance, credibility, followers and connections play a big part in the LinkedIn algorithm. So, it goes without saying you should be growing your personal or business audience (or both) on LinkedIn. Fill out your personal profile and Company Page as completely as you can, and keep them updated. Add connections (people you know, or think would be interesting to see updates from). Encourage employees to indicate they work at your company. Follow others and attract followers (these are different than connections on LinkedIn). Participate in LinkedIn Groups, or host your own. Make sure your profile is public, so more people can find you, add you and see your posts (especially Publisher or Pulse posts, explained below). Join conversations and be active on the network, generally. Promote your LinkedIn profiles and Company pages on your website and in other appropriate spaces (e.g., employee bios, business cards and brochures, email newsletters, email signatures, etc.). Setting up customized URLs is useful for this. LinkedIn’s Official Blog made a clear statement in 2016 that feeds would intentionally contain Influencer content. Influencers are credible users (usually company leaders) writing content approved by LinkedIn editors. They automatically pass the “no spam” test as a result. 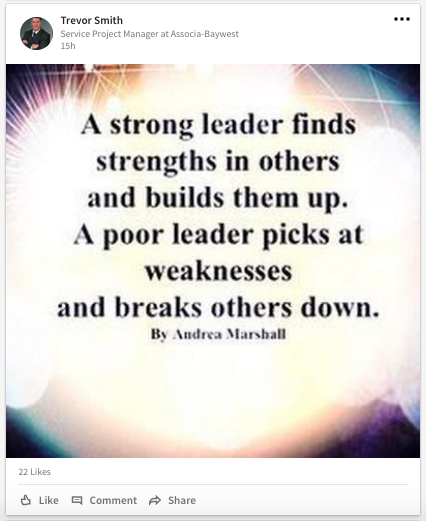 LinkedIn Influencer content shows up on the LinkedIn feed with a special icon next to the poster’s name. It’s akin to a verification badge on a platform like Twitter. So, how do you become a LinkedIn Influencer? It used to be that you could apply to be one. Nowadays, it’s a select club of invite-only users. But that doesn’t mean you should give up hope. LinkedIn gives advice on how to get yourself to the top echelons of LinkedIn content creators. Follow their lead (and our tips in this article), to start producing amazing content they’ll notice. Content you post on LinkedIn should be optimized for engagement and quality. 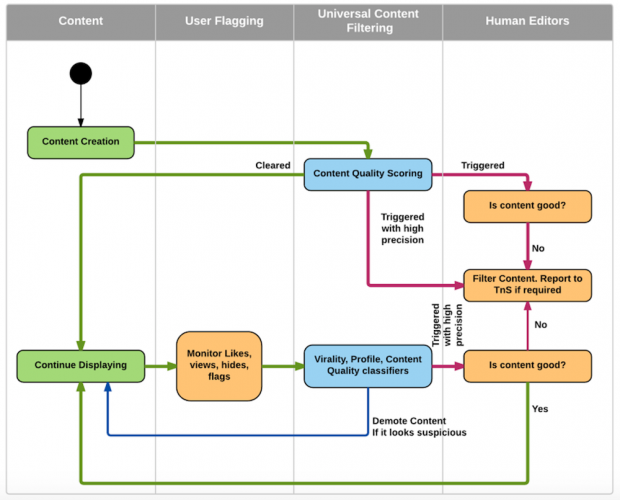 Below are LinkedIn’s actionable tips for producing the best content for its network. Include puns or fun jokes to make professionals laugh—usually at their industry. Show impressive industry or company stats. Keep it short and include a link, image, or video. Remember, when you do get those hard numbers, it’s important to learn something from them. Keep revising and experimenting until you figure out what works best for your audience (and in your industry) on LinkedIn. If you’re posting at 2 a.m., when most of your network is asleep (time-zone nuances aside), your post can be up for hours before receiving likes or comments, no matter how good it is. This is why posting to the LinkedIn feed at the right time is important. But when is that time? A popular hypothesis is “working hours,” because LinkedIn is a professional network, and most people work 9 a.m. – 5 p.m. However, some suggest that posting when workaholics are likely to take a break and visit LinkedIn is better. The LinkedIn Sales and Marketing Solutions EMEA Blog says the best time to post is 8 p.m., but that you need to find your own “8 p.m. moment.” That’s when decision-making is supposedly done, even if it’s at home. According to yet another LinkedIn article, the best time to post is going to depend on tests you perform. This is because location, time zones and people’s daily habits affect when they’re on LinkedIn—and that differs in any given audience segment. In fact, 50% of LinkedIn users check their accounts through mobile devices, implying you have as much of a chance of reaching people after hours as you do during the workday. Remember that LinkedIn is primarily a social network, so it helps to be social! Be kind to others by sharing their posts, or embedding their videos on your site. You’d be surprised at how many will like your share, comment to say thanks, or reshare your posts to give you credit on their network. These actions increase your profile reach. Plus, if you’re striving to be a LinkedIn Influencer, making friends on LinkedIn is a good idea. 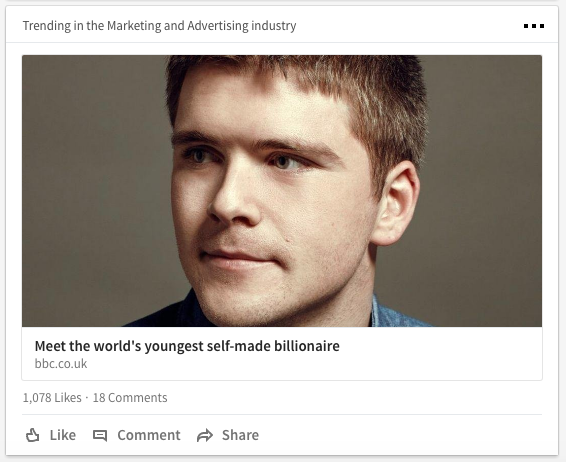 There’s no doubt that LinkedIn is pushing posts that originate from their Publisher tool (which end up on LinkedIn Pulse, now integrated with the homepage feed). The Publisher tool on LinkedIn is like a blogging platform—it’s made for users to publish as individual authors (not hiding behind a company name). You or your employees can write blog posts through Publisher and share them to your network(s). LinkedIn’s Corporate Publishing Playbook recommends you use your employees’ expertise as your brand “assets” in this regard (see slide 6 on this Slideshare presentation). 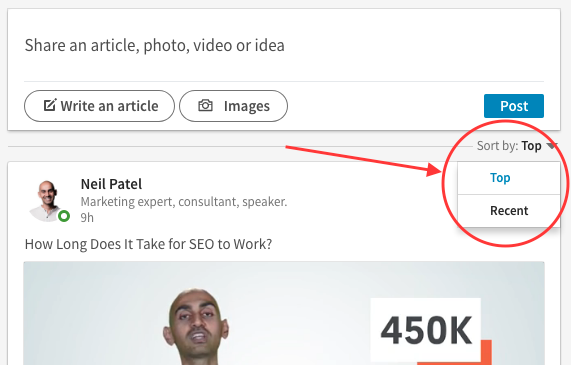 The Editor-in-Chief at LinkedIn explains that Publisher posts show up in the feed for your connections and followers based on time. So, be sure to follow our engagement tips above, to keep the post circling through the LinkedIn algorithm. Note: Channels are curated categories of Publisher posts found within LinkedIn Pulse. If your content is good, it could be placed in these featured areas for more eyes to see. Below are some tips to get your LinkedIn articles in front of people, benefiting your rank in the LinkedIn algorithm. When you write a Publisher post, be sure to actively share it, and use the @mention feature to tag relevant LinkedIn members. This will notify other users, and their networks, when your content is applicable to them (you don’t need to be officially connected to do this). For example, you can @mention someone you quoted in your article, or whom you linked to. They’ll likely be flattered may even reshare it to their audience. Or, you can @mention personal connections you feel would benefit from the article (but never spam a bunch of random users for exposure!). Hashtags will make your post discoverable by other users who are looking for information on that topic (when using LinkedIn’s search bar). They might then share it with their networks, increasing your exposure. Search engines, at one point or another, need to rely on factors like keywords to determine what a URL is about. And, good internet marketers know the value of a strong headline and image. This may sound somewhat forward, but hear me out. Since people can now follow, and not just connect with you on LinkedIn, there’s no harm in asking for the follow when you publish a striking article. The more followers you have, the more people are likely to see your future posts in their homepage feed. Your content will have more potential to get those engagement signals we now know are so crucial to the LinkedIn algorithm. Use the tools LinkedIn gives you to share on Twitter. Plus, use a platform like Hootsuite to syndicate your article to multiple social media profiles, giving it an extra traffic boost. If you’re part of LinkedIn Groups (and you should be), use the opportunity to post your Publisher articles to those groups when it contains useful content for group members. The benefit here is that you’ll show the article to group members who may not be your 1st degree connections or followers. If it’s useful, they’ll hopefully share it to their networks or become a follower. For example, you can use your articles to answer someone’s question, or use group member questions to inspire your content. You can also start a post on the group page, inducing a conversation about your enticing, topical and relevant article. While you could use paid advertisements to help share your LinkedIn Publisher posts, you may get better conversions by leading ad-clicks to your website blogs, with specialized calls-to-action (CTAs). See our section below on repurposing your website content on LinkedIn. Paying to promote spammy or irrelevant content won’t help you. Always keep your audience in mind when sharing content on LinkedIn. 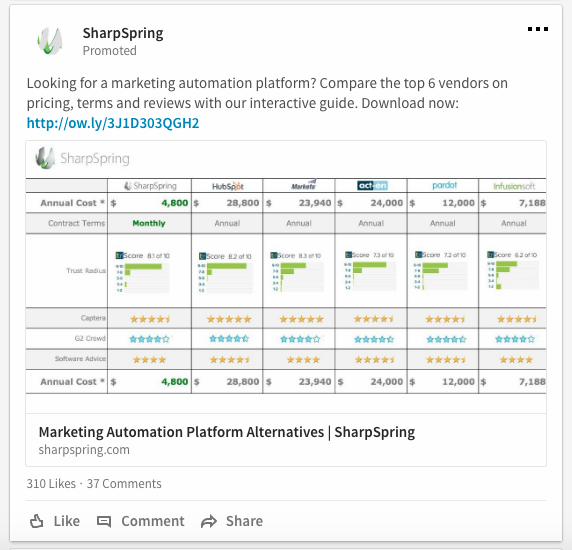 The LinkedIn Marketing Solutions blog published a post that emphasizes the importance of audience targeting when setting up ad campaigns on its network. While you may fear spam and negative trolling, keep in mind comments are an engagement signal for the LinkedIn algorithm. That makes them necessary to keep your content in the LinkedIn feed. Keep your audience engaged and let them know you’re listening. When appropriate, respond to comments to keep those engagement signals going. Like we mentioned above, always use data and analytics to continually improve your content and its reach. Test the headline, photo, teaser text, share text, and even the time you shared a post. LinkedIn provides analytics to its users for this purpose. Hootsuite also offers a tool to help you gauge the effectiveness of your team’s social media efforts. We know what you’re thinking when repurposing content: what about SEO? That’s a very good question. Traditionally, SEOs will say you should avoid duplicate content on your website, which can cause ranking dilutions in the search engines. A reliance on search engines to understand the original source of content, and the intended reuse on other domains. A nifty HTML linking trick SEOs use, called the Canonical rel link. So rest easy. You don’t need to create separate posts for your website and your LinkedIn profile. You can tactfully repurpose the same posts, but only if they’re worth the effort. Don’t overuse this strategy though—you still want to attract people to your website for original content! What have we learned about how the LinkedIn algorithm works? Engagement is critical to the LinkedIn algorithm. Engagement is dependent on relevancy, the reach of your network, the times they are checking LinkedIn and your credibility within that audience. Using the LinkedIn Publisher platform is a good idea. Sometimes, you can republish posts from your blog, but not always, and only when you know what you’re doing. 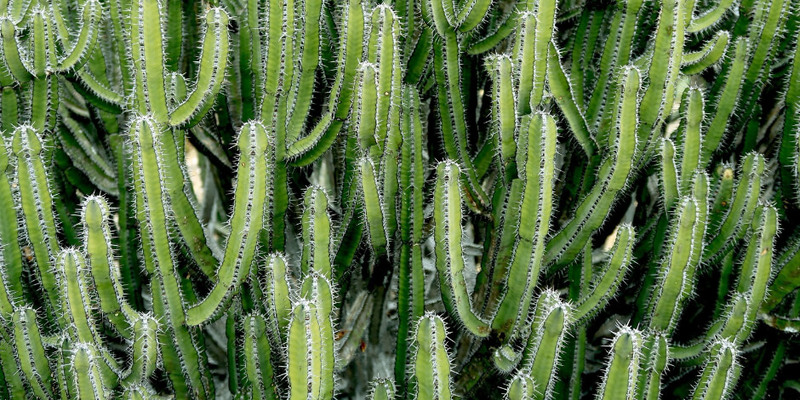 Reciprocity wins on any social media, including LinkedIn. Use analytics and experiments to refine your LinkedIn posting strategy, further improving your algorithm hacks. With that said, start experimenting with posts on LinkedIn, and start spending time on the LinkedIn feed, to get acquainted with the audience you’ll be interacting with. Get to know their likes and habits, and be known as a producer of engaging content yourself!